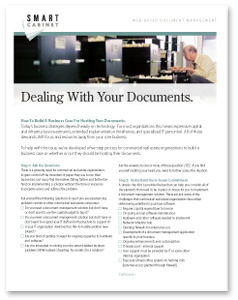 Download our Free White Paper today to discover how to build a business case for hosting your documents. Today’s business strategies depend heavily on technology. For most organizations this means expensive capital and infrastructure investments, extended implementation timeframes, and specialized IT personnel. All of these demands shift focus and resources away from your core business. business case on whether or not they should be hosting their documents.